Awaken your inner source of healing and transformation. Since that time, Ison has used his music to catalyze profound healing and transformational insight with thousands of clients. 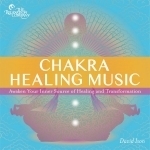 Chakra Healing Music releases blockages in your physical and energetic bodies. As you listen, you will experience waves of relaxation and expanding emotional freedom. From this deep and open place, healing can occur spontaneously, and new possibilities for living emerge.